magnolia’s, charleston | Is there any wine left? 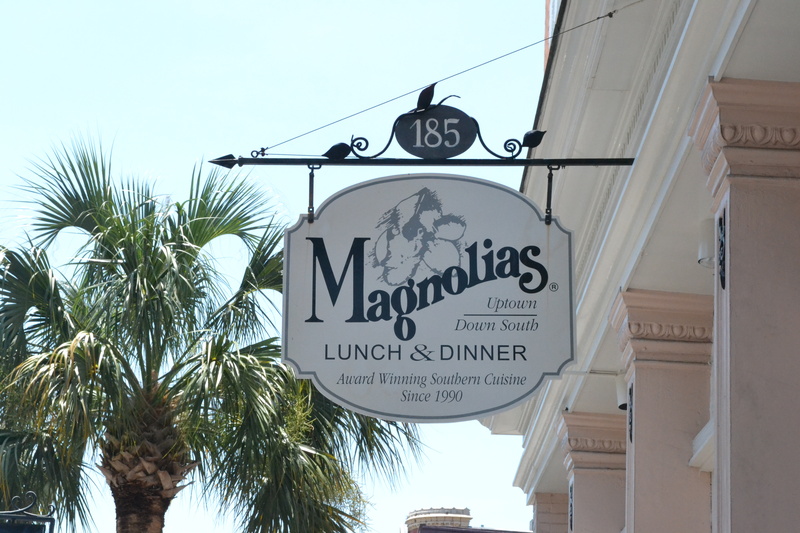 Another favorite from our trip to Charleston was lunch at Magnolia’s. 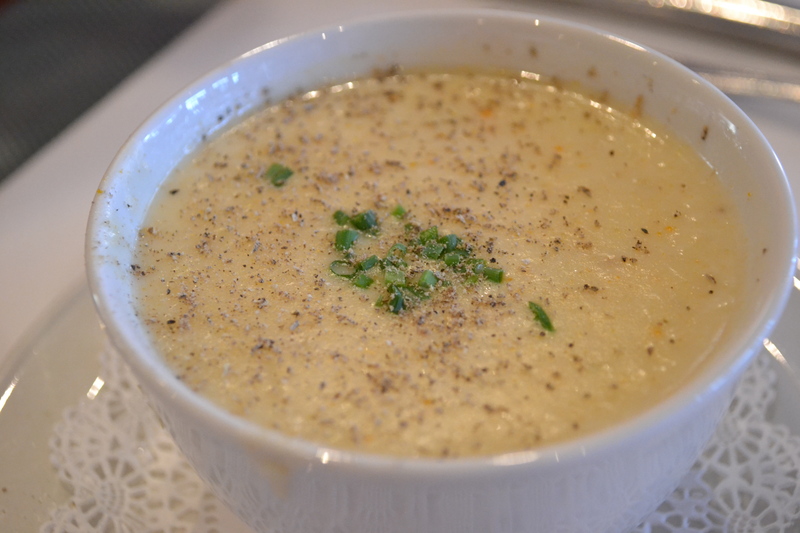 We started by splitting the blue crab bisque. It was full of crabmeat, and while it was really good, it was so creamy and rich that we agreed we couldn’t have finished it individually. It’s not to be missed though, so make sure you go with someone that wants to try it! 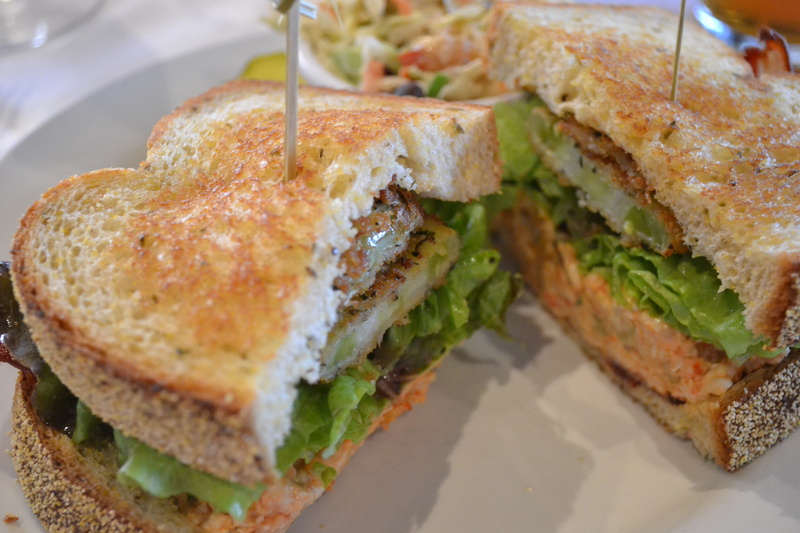 I hit it out of the ballpark with my sandwich order — a fried green tomato BLT with pimento cheese on corn & jalapeño bread. By the time I got to the second half, I had to deconstruct it because I was getting full, but didn’t want to miss any of the tomatoes or pimento cheese! My BLT came with jalapeño-peach coleslaw, which I really enjoyed. 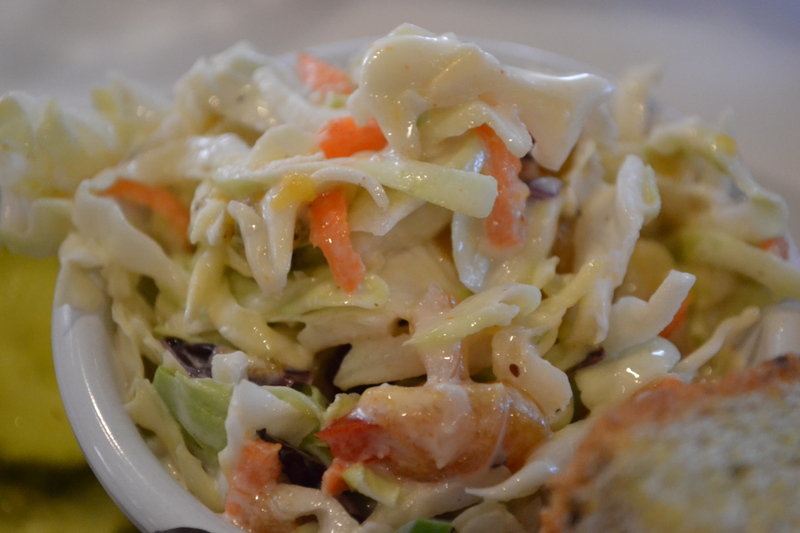 I think I will try to make this at home but use a vinaigrette instead of creamy dressing. Whit was on a fried chicken kick (when is he not?) 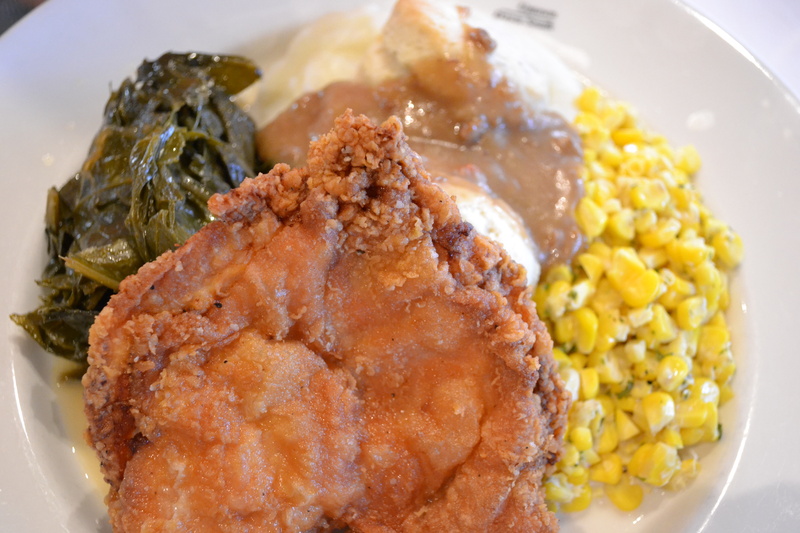 so he ordered the fried chicken platter, which came with collards, corn, mashed potatoes, gravy and a biscuit. Our waiter swore it was the best fried chicken he’d ever had. Whitney wasn’t as sure but said it was definitely top-10! I ate all of his collards — they were so good! I am completely sure there was a ham hock or two involved in the cooking. 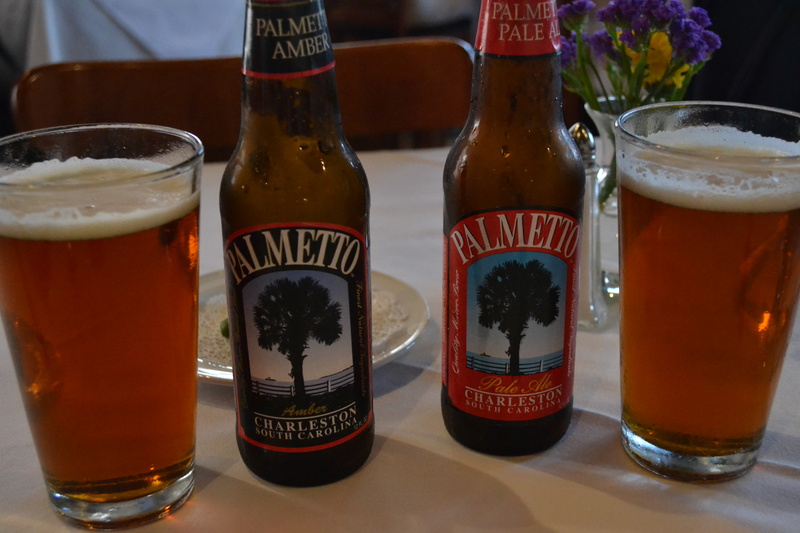 We also discovered Palmetto Brewing Company — I ordered the pale ale and Whitney had the amber. Both were very good but we agreed that we liked the amber the best. Who else wants to add pimento cheese to all of their sandwiches now? !